Great Investment opportunity. 5 Units that are fully occupied with a great cash flow. Large lot, plenty of on-site parking available. 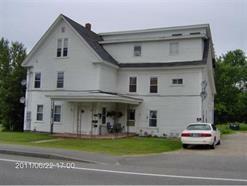 In town location, walking distance to banks, movie theater, drug stores, etc. Courtesy of Gerald Winn of Century 21 Winn Associates.